Since its inception in 2007, Dunhill Travel Deals, Inc. has sought out the best travel deals available and then shared these deals with our community of savvy travelers. We know a good deal when we see it, and when we see it, we pass it along to our publishers and their audience. It’s that simple. We continue to improve our methods of travel deal discovery, timeliness to market and delivery mechanisms. That’s where you come in! Our Dunhill Travel Deals Partner Network platform allows travel bloggers a way to include travel deals content on their site while opening a new revenue stream each time a deal is clicked on your site. Our platform is easy to implement and all deals are verified and updated by the Dunhill deals team. 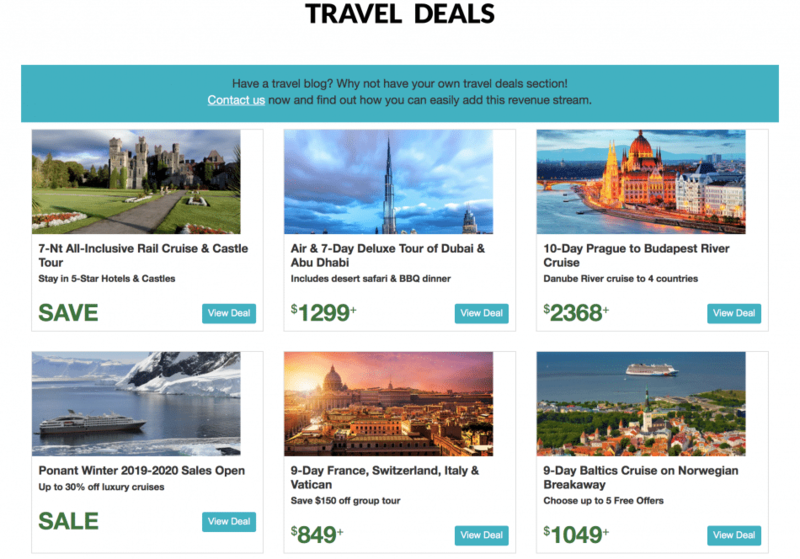 We’ll create a travel deals page via I-frame with the look and feel of your blog/site. Once activated, you’ll be able to view clicks and revenue in our revenue portal. From there, we’ll process payment monthly to your account.